We are all at some point in life restricted by many emotional barricades. They stop us from progressing further in life and affect’s your morale drastically. Shripavan’s tells a story similar to that and he has successfully ended it by proving that it’s never too late to achieve what you want in life. Shripavan Radhakrishnan (23) led a lifestyle which most would define as an unhealthy one. Since childhood, he has been an avid foodie who was extremely fond of chocolates, ice creams, and other dairy products. Not surprising at all, who doesn’t like chocolates and ice cream right? We feel you Shri. The problem occurred when he carried his childhood eating habits to the later years of his life. By the time he was in college, Shri had an unfortunate gift which most foodies carry around, a pot belly. Weighing about 72 kgs with a waistline of 36 inches, Shri was totally uncomfortable in his skin. This might not sound like an extreme situation but who are we to define that? The only thing that mattered was how much it was affecting him emotionally and the results were drastic. He was constantly made fun of in college because of his physique and this put forth many barriers for him to move forward confidently. Taking the health aspect into consideration, Shri was dealing with vomiting and diarrhea on a daily basis. 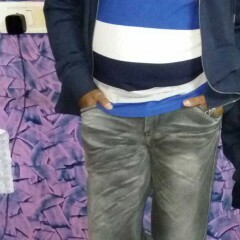 Nothing changed until Shripavan became an employee and started working for a private organization. This is when he was first introduced to GOQii by a colleague, in April 2018. Shri was immediately impressed by the cause GOQii stood for. He further researched the brand and soon ordered a GOQii band for himself. 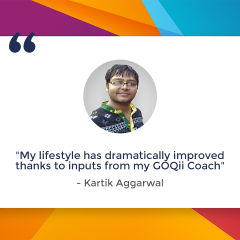 He has been a GOQii player for the past three months and the changes have turned his life around. 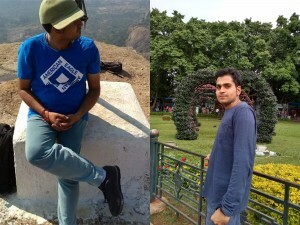 “I joined the GOQii team about 4 months ago, my colleague/friend Ranjith is the one who introduced me to this amazing platform and I still thank him for it. He explained to me how the band works and how it helps you track your daily activities and eating habits. I soon ordered one for myself. Looking back in time, I’ve had many unpleasant experiences because of my physique. I remember a time when I used to look at myself in the mirror and constantly criticize myself for my habits. Ah! Those were indeed the dark days. 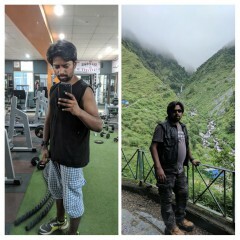 I weighed about 72 kgs and my waistline was 36 inches. My health was also going down the drain, literally! I was forced to accept Vomiting and Diarrhoea as a part of my life, that’s how bad it was. Now, my life as a GOQii player has been somewhat different. 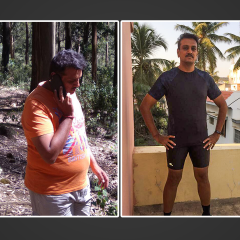 With the help of my coach Hima Gupta, who has been a powerhouse of motivation for me, we addressed problems at the very basic level and to my surprise, this made a big difference in my life. Today, I’ve brought down my weight to 62 kgs, losing nearly 10 kgs and my waistline is 32 inches which were about 36 earlier. From my diet to exercise everything was specially designed to extract the best out of me to bring out the best in me. I reduced my sugar intake and started working out regularly. Various types of planks, crunches and cycling exercises were the major components of my workout. The karma point system served as a major incentive during the course of my journey, it felt good to know that every time I exerted the best of myself out there, I was also supporting a cause for the greater good of the society. GOQii arena was another platform that made this entire journey much more fun, meeting like-minded people who share the same interests as you do was truly an amazing experience. Coach Hima was very enthusiastic to talk about her player. “Shripavan has been really cooperating and full of spirit from the very beginning. He was excited to try new things in his workout and never complained. His major goal was to shed some inches around his belly and to make this possible we started slow, with brisk walking and planks. We also focused on his daily meals and infused more healthy food items into it. This helped him a lot with his metabolism and once he was used to this routine, I also added detox drinks and some core workouts into his regime, which he followed diligently. His dedication and high spirits helped him achieve his goals in a remarkable time. I’m really happy to see his progress and proud to be his Coach. I wish him all the best in life” she added.